Blog [Blog] 2019 Labor Laws: How the New Laws Impact Your BusinessLabor and employment legislation around hourly workers is a key area of focus for businesses with large workforces. News [Video] How to Make the Best Employee ScheduleLearn the four key phases of strategic employee scheduling and how to implement them. Employee Scheduling Best PracticesSchedule and manage your workforce to grow your business. Employing hourly workers puts scheduling at the core of your business. Every day, managers are dealing with changing schedules, unplanned absences, and communicating last-minute changes. Beyond the tactical challenges of employee scheduling, managers work to control labor costs, ensure quality of service, and keep employees engaged. Simply put, managing hourly workers is hard. Employee scheduling software makes it easier. Designed with hourly workers in mind, Shiftboard offers best-in-class workforce scheduling for complex scheduling challenges. Whether your workforce is regulated by CBA’s or spans multiple locations, our mobile-friendly solution allows your workers and managers to work from one centralized schedule. Scheduling accuracy, communication, compliance adherence and labor costs are all improved when scheduling is optimized. 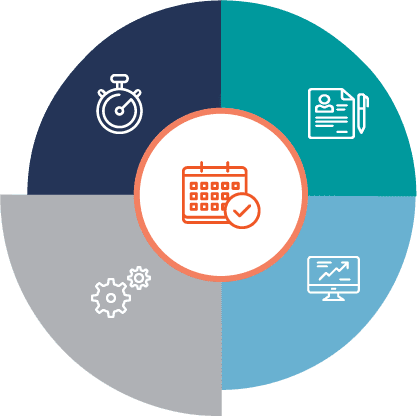 By integrating time and attendance with centralized scheduling, your managers can see who’s scheduled, who’s clocked-in and who’s not. At a moment’s notice, managers can quickly recognize unplanned absences, communicate with the missing worker, and find an available replacement all within Shiftboard. 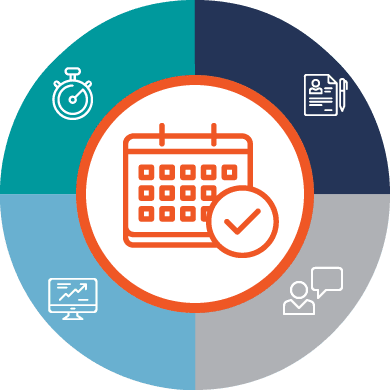 Beyond improving day-of operations, your managers are able to make better business decisions by reporting on all of your time and attendance data across your workforce. By tracking your applicants from the first time they interact with your business, managers won’t waste time entering employee data into multiple systems. 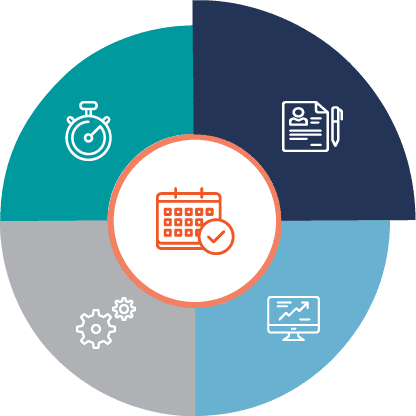 Shiftboard’s workforce scheduling software ensures workers are ready to work with a versatile tracking tool that covers applicant status, credential verification and completed trainings. With all your information in one convenient place, Shiftboard gives managers the ability to verify intuitions, test curiosities, and make decisions backed by real data. 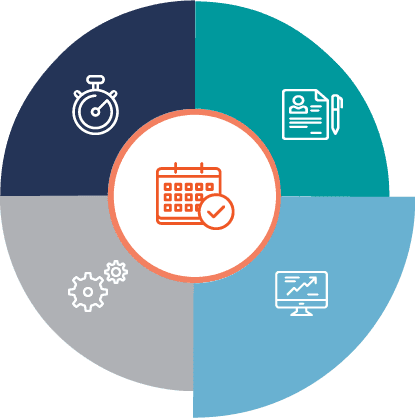 With hundreds of ready-to-go reports built into Shiftboard, your team can measure labor costs, scheduled hours, overtime, time cards, and other workforce information at a moment’s notice. Shiftboard makes it easy to make better strategic decisions. By integrating with your key operational processes, Shiftboard simplifies how you manage your data. Connecting your systems allows your managers to reveal new business insights and potential issues before they occur. 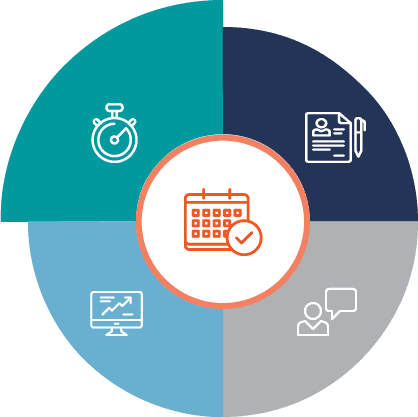 Seamlessly integrating with hundreds of HRIS, HCM, CRM time management and payroll systems arms your managers with the vision they need to grow your business.